WORLD The Alley of Wonders, an installation in the Atrium Promenada shopping centre in Warsaw, has been awarded a golden statuette for customer services in this year’s ICSC Solal Marketing Awards, held by the International Council of Shopping Centers. The Alley of Wonders forms a 200m link between two operational sections of the shopping centre that are separated by an area that was under refurbishment between 2015 and 2016. 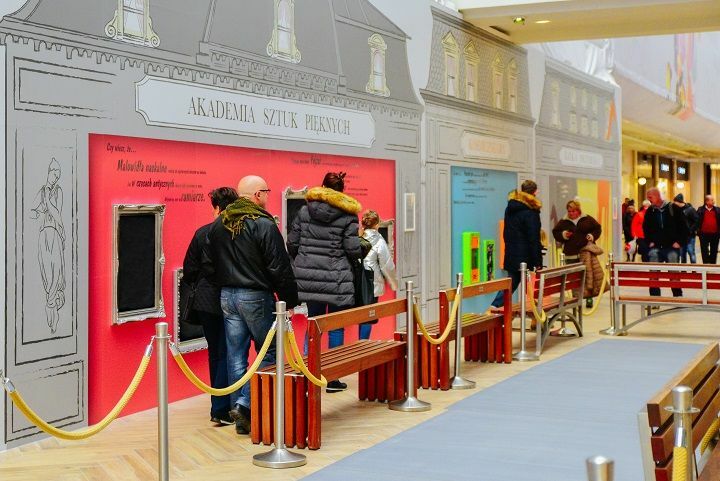 The passageway is decorated with drawings of houses created by renowned children’s book illustrator Kasia Cerazy, and there are screens with interactive games for the children. At this year’s ICSC Solal Marketing Awards 216 projects from 22 countries were nominated for awards in eight categories. Atrium Promenada currently has 180 stores and service units over a retail area of 44,300 sqm. The mall is owned by Atrium European Real Estate. After the extension work, which is to take place over a period of several years, the building will eventually have 90,000 sqm.